This is Elijah. He likes barbecue. 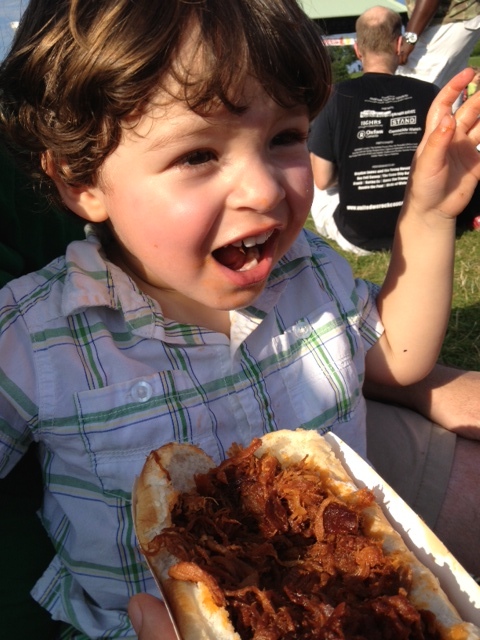 My two-year-old is a major fan of meat. All kinds of meat. He must get that from his dad. I like meat too, but I like carbs better. 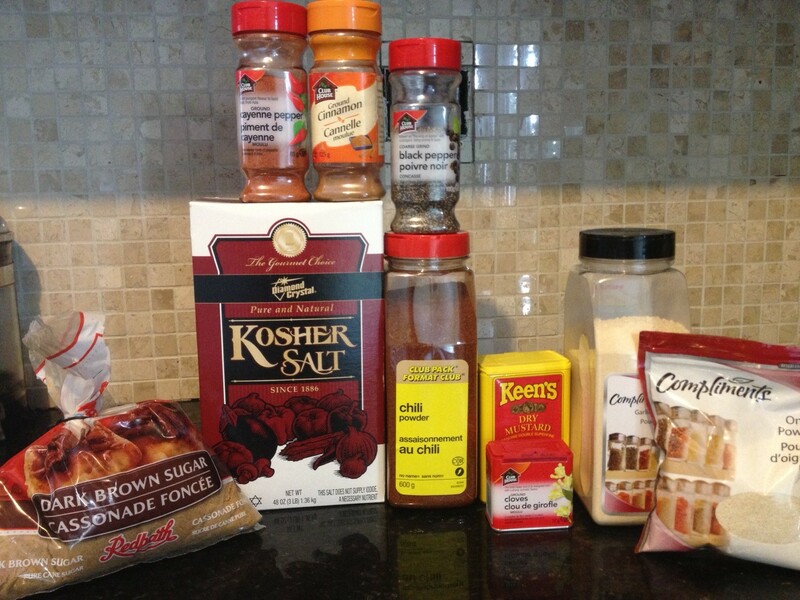 In honour of Elijah’s meat tooth, we’re making barbecue rub and sauce. Loads of it. To keep it on hand just in case the mood strikes. You can buy rub and sauce if you’re in a rush. But why not make it? It’s waaaay cheaper and you can tailor it to your tastes. It’s also super easy. Since my partner, Kevin, is king of meat in this house, I’m sharing his recipes. This rub can be used on chicken, pork or beef. (I guess it’s not exactly all purpose since I wouldn’t recommend it for lamb, because it wouldn’t do it justice. For lamb add a tablespoon each rosemary and coriander instead of cinnamon and cloves.) 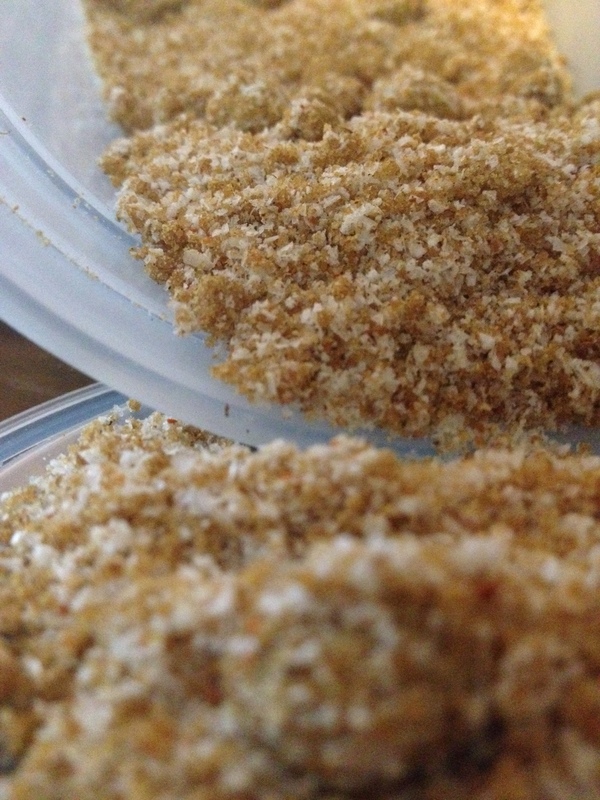 Rub can combine any dry spices or herbs you like. Just follow the 2:1 ratio for sugar and salt and the rest is up to you. Also don’t use too much rub on your meat. That’s a rookie mistake that will overpower it and could leave an acrid taste in your mouth. About 1 to 2 tablespoons of rub for each pound of meat should work. Less is more. And rub it in good, leaving the meat to marinate for at least an hour, but overnight is best. It will last for a few months in a well-sealed container. 1/4 cup each granulated garlic powder, onion powder, dried mustard powder, hot chilli powder (substitute sweet if you’re a wimp or a toddler, or smoked paprika if you like it smokey). Add all ingredients to a medium bowl. Without mixing, transfer to a lidded container and shake, shake, shake to combine. Kevin’s from Windsor, Ont. Home to the famous Tunnel Bar-B-Q. 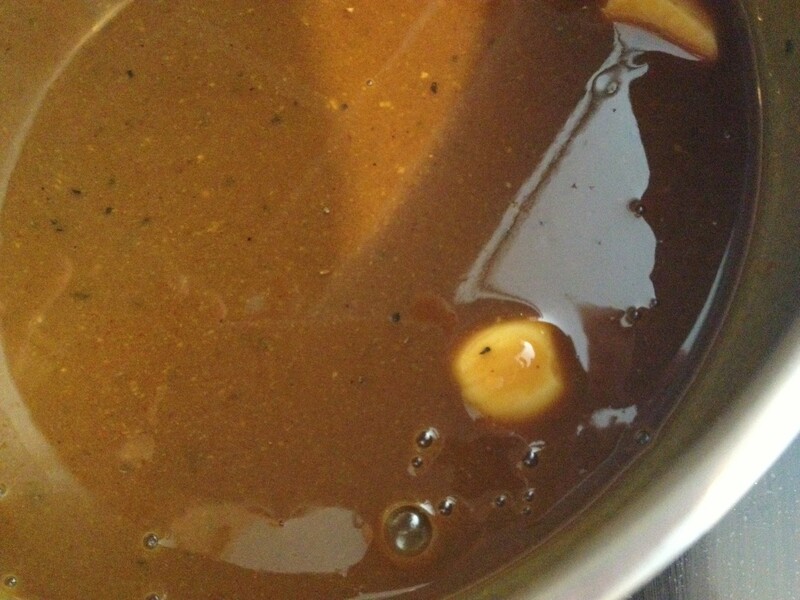 He channels the joint, which has been barbecuing since 1941, every time he makes this sauce. But there’s is spicier. With Elijah around we’ve decided to dial back the spice a bit. But it is mustard-based so it certainly keeps its kick. But if you like it really hot, add about 1/4 cup of your favourite hot sauce or increase the cayenne. Combine ingredients in small saucepan. Heat on low for about 45 minutes until it thickens slightly. Remove garlic. Use immediately or store in fridge. Lasts about one month or freeze it in one cup servings. Since it contains a lot of sugar I wait until about the last 15 to 20 minutes of cooking before I slather it on, otherwise it will burn. Also serve some on the side for dipping or drinking! 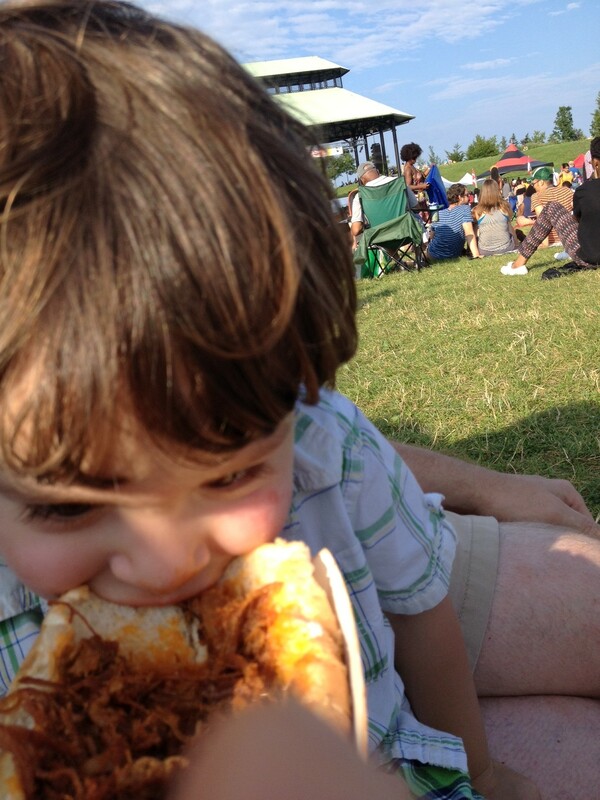 This entry was posted in Savoury and tagged barbecue, spice rub, Tunnel Bar-B-Q. Bookmark the permalink.